Dr Kamarudin Ab-Malek attended an investiture ceremony on Friday 6th February, at which the award of Darjah Indera Mahkota Pahang (DIMP) was conferred by the Sultan of the State of Pahang. This award carries the title Dato'. 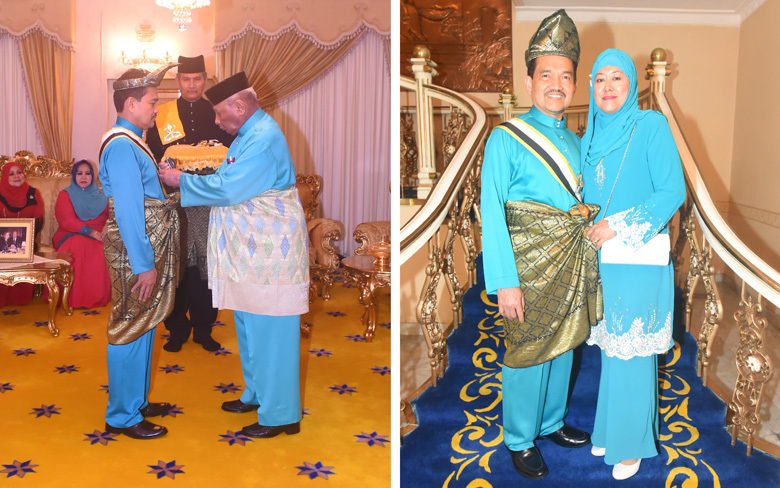 Congratulations to Dato' Dr Kamarudin Ab-Malek on his award, pictured above left with the Sultan Ahmad Shah of Pahang receiving his award and on the right with his wife, Datin Dr Hafsah Mohd Ghazaly, after the ceremony.